Our security consoles are provided at no additional charge to you! Fast, friendly, reliable and trustworthy paper shredding. It is more than our business…It’s our mission and commitment to 100% customer satisfaction. 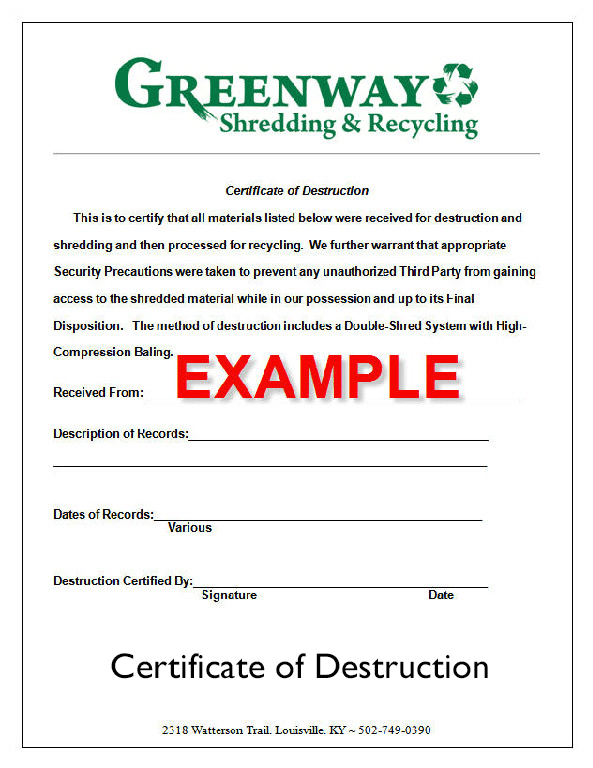 Greenway Shredding & Recycling offers two main services for document destruction: Automatic pickup and one time purges. Automatic customers receive lockable secure consoles free of charge. The number and location of the consoles is determined by your staff’s needs. 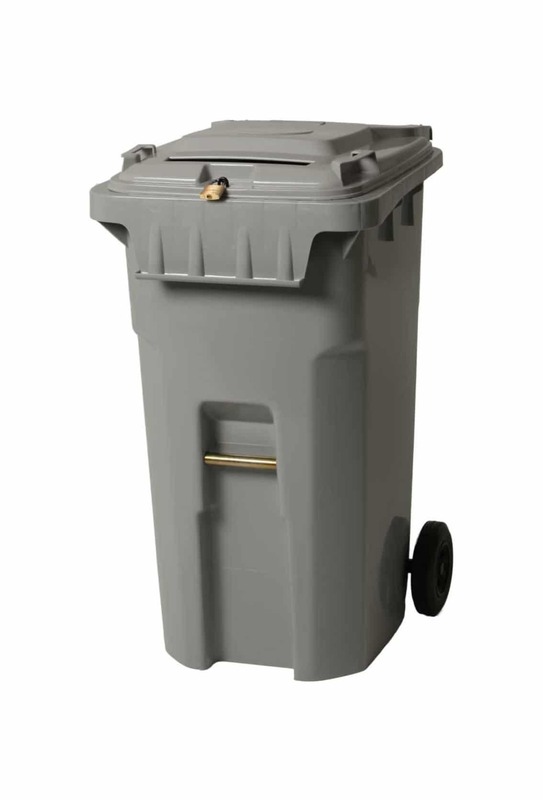 Don’t worry about paper clips, staples, or binder clips, our powerful cross cut double shredder can handle it all. We can customize a document shredding schedule based on the volume generated. Typically, our clients are scheduled weekly, monthly or bi-monthly. We always offer to our automatic clients free shredding for all employees at our facility!!! Whether it is couple of boxes or a warehouse full of boxes, let Greenway Shredding & Recycling haul off and destroy your unwanted and confidential information. Our facility is open to the public. Just bring your documents to us for shredding at very reasonable prices. We have Recycling Programs for High Volume Paper Generators. 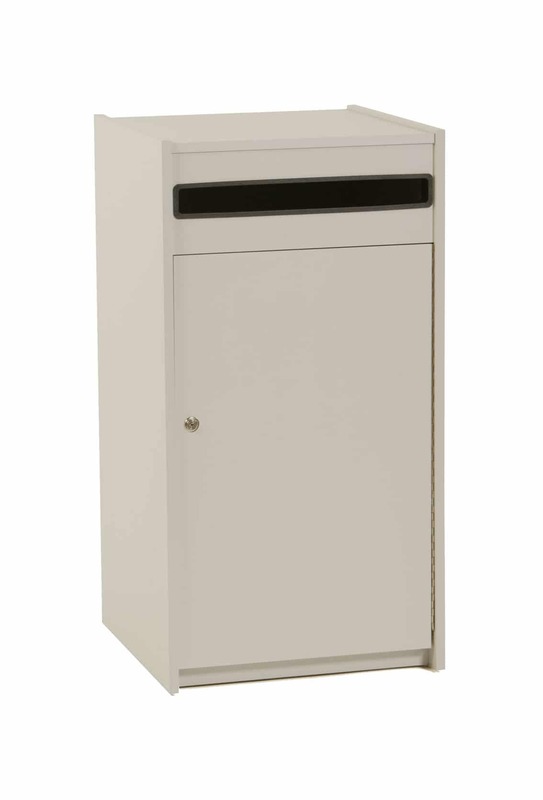 This console is a laminated piece of furniture that allows you to use the top surface for equipment or supplies while you drop your confidential materials in the front slot. Security: locking mechanism on security door. This console is ideal for high-volume use. Security: A padlock is used to lock this console.